If you have found that your home needs help in terms of heating or cooling, you aren’t alone. 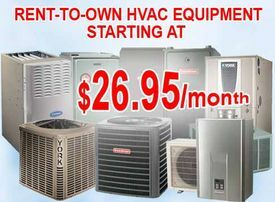 It seems that an air conditioner or furnace always goes out when you need it the very most. Yet, you don’t have to live uncomfortably; instead you need to call for heating and air conditioning service. Many of us put this off; assuming that we won’t be able to afford repairs or replacement, but the fact of the matter is that you aren’t doing yourself any favors by waiting. Many times when there is an issue and the home cannot be heated or cooled as well as it should be, repairs can be done to restore the comfort of your home. If you continue to run the unit that has issues, you can do further damage, which may lead to more expensive repairs or even replacement. In the end, it is better to call out a service provider as soon as you notice a problem so you know exactly what you are dealing with.